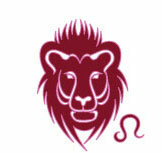 Sun Sign Zodiac: What does my friend, lover, family member, boss want me to notice about them? I’m not the type to have many mutually Libran 7th house “committed” & Scorpio 8th house “deep” friendships but that’s generally what I desire. In fact, most of my friendships are the Aquarian “superficial”, “aquantaince”, “groups & networks” 11th house type that generally skim the surface and keep things light, distant, and impersonal yet topics of discussion are deep, optimistic, warm, and spiritual. There’s nothing wrong with 11th house relationships and in fact, they are low maintanance, committment free, easy-on-the-mind, and full of learning opportunities; however, every once in awhile I yearn for something more.